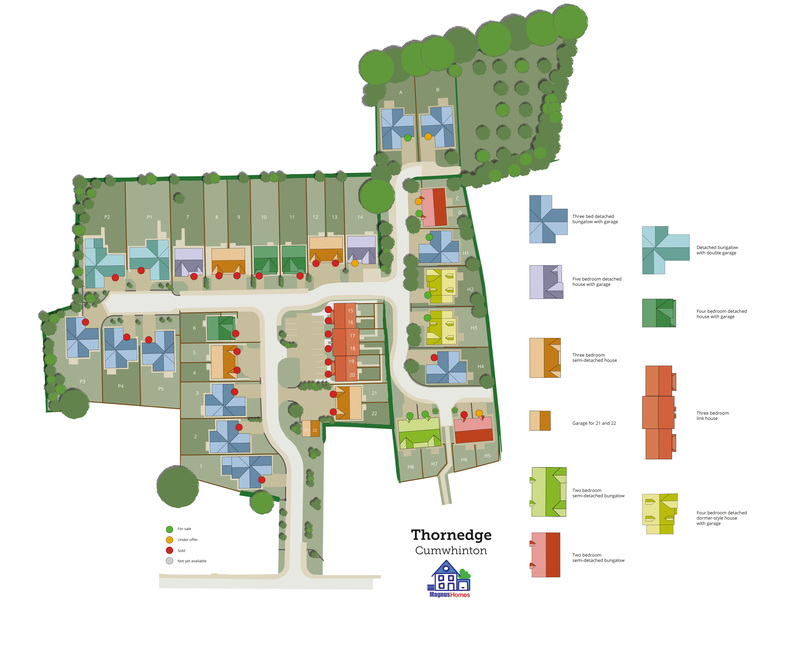 Thornedge is our exciting new development in the much sought-after village of Cumwhinton and features 39 new properties including semi-detached and detached bungalows, semi-detached and detached houses, dormer-style houses and spacious link houses. All of these superb new homes are built to the highest standards with the trademark Magnus Homes emphasis on attention to detail. In a beautiful rural setting close to Carlisle and with easy access to the M6 and the A69 and a regular bus service to the historical border city of Carlisle. Residents of Cumwhinton enjoy a range of excellent local amenities including a primary school, village shop/post office, village hall and a traditional community pub that has a great reputation among diners. Additionally there are opportunities to enjoy some delightful walks and cycle rides in and around this warm and friendly village. The nearby village of Wetheral also offers additional local facilities including restaurants, hotel & leisure facilities, village shop & post office, church and a railway station on the main Carlisle to Newcastle line. Cumwhinton primary school has an excellent reputation and the village is in the catchment area for Caldew School, Dalston. There is also a school bus service to William Howard School, Brampton. 3 bedroom detached bungalow with integral garage – Plot B. Features a private orchard.